Cartagena is covered in castles and swept by the breeze of the Mediterranean Sea, brimming with over 3,000 years of history. Discover the Teatro Romano, which is in the process of being excavated and is considered one of the most important theaters in Spain. 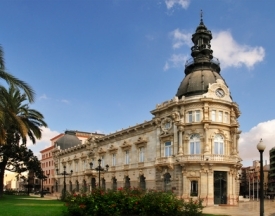 Don't forget to visit the port, where the modernist town hall is located, as well as several monuments and the first submarine ever to be launched in the world.